There’re two awesome winter drinks, eggnog and glogg! This recipe is something really different and unique. 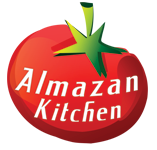 Today we will share with you our secret recipe – AlmazanKitchen method for almighty dessert of all time, Tiramisu! New great pizza on AlmazanKitchen channel! Vegetarianthin crust pizza with sweet mini pineapple and delicious dragon fruit!